Is it possible to buy furniture for small spaces without making your apartment feel cramped and cluttered? If you’re among the millions of Americans who prefer to downsize, you’ll want to learn quickly. You need to be able to strike the right balance between creating a space that has a natural flow, plenty of room to move without knocking things over, and a warm inviting space. That can seem like a tall order if you’re operating in a limited space. 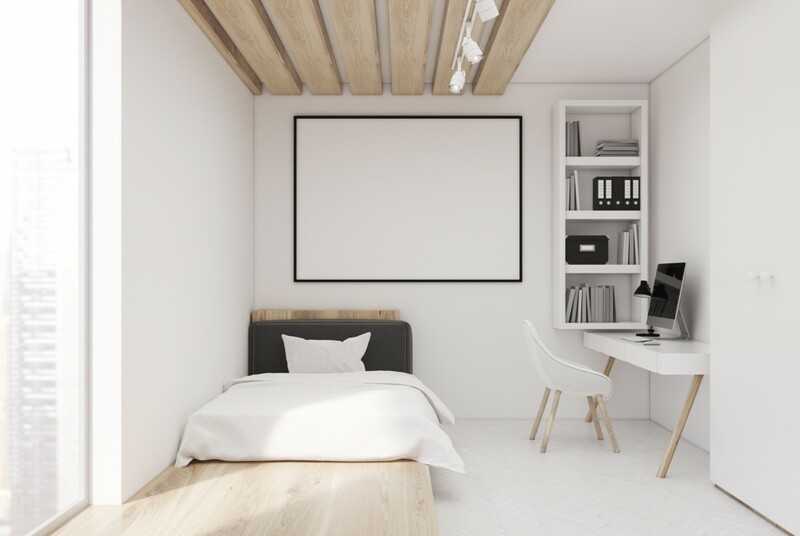 Read on to learn your best options for furnishing small spaces. Before you start buying furniture, you’re going to want to map out your room. Each room will be used differently and you need to take normal traffic patterns into consideration. If you have the bed and a couple of small nightstands in the bedroom, will you be able to get up and walk to the bathroom and closet easily? In the living room, you’ll need to consider where the TV will go and how you plan to get up and moving around to and from the kitchen. Take into account how you’ll flow from the entryway to the living room, too. That will make it easier to help you determine what size furniture you need to fit your small space and be able to move around with ease. The key to making furniture for small spaces work is by taking advantage of every bit of available space. That’s why you want to choose furniture that is multipurpose. For example, a coffee table with drawers can give you added storage space. An ottoman can be an extra seat or storage space. A futon can serve as a bed and a couch, which is great if you plan to have guests. In a tight space, you can utilize the walls and corners of the space you help you get the most out of what you have. You can hang a mirror opposite a window, which can help brighten a room and make it seem more spacious. In a corner space, a classic corner piece can give you more storage space without adding clutter to your space. In a small space, you can easily go overboard with accents. You want to strike a nice balance that will add personality to your space without overdoing it. Adding a couple of plants will add color and bring a little nature indoors. You can also add things like accent pillows that can add color to a room and brighten it up. You can use color psychology to strike the right emotional balance in the room. The perfect furniture for small spaces is stylish and functional. You’re able to have a comfortable home that’s warm, inviting, and gives you plenty of room to move. If you’re downsizing to a smaller place, you’ll quickly learn that it can be fun to furnish a small space and make it your own. Ready to take the leap? Check out our latest apartment listings now.